Dr. David Halstead is the CIO for the National Radio Astronomy Observatory, a facility of the NSF operated under cooperative agreement by AUI, where his responsibilities are divided between Data Management for the Observatory’s HPC infrastructure in support of the national radio telescopes, and the general IT support for 500+ employees. He has served on multiple SuperComputing Conference committees and is a founding member of the ACM’s SIGHPC Education Chapter. Prior to joining NRAO, he worked in the DOE Scalable Computing Laboratory in Ames Lab, and in the private sector with Celera Genomics. Dr. Melissa Woo is the Senior Vice President for Information Technology (IT) and Chief Information Officer at Stony Brook University. Prior to joining Stony Brook University, Melissa was the Vice Provost for Information Services and Chief Information Officer at the University of Oregon. Melissa has also worked for the central IT organizations at the University of Wisconsin-Milwaukee and the University of Illinois at Urbana-Champaign leading and supporting a number of areas, including research cyberinfrastructure, enterprise IT services, and IT operations and infrastructure. David and Melissa join a committee that consists of Tom Barton of the University of Chicago, Neil Chue Hong of the UK Software Sustainability Institute, Nicholas Multari of Pacific Northwest National Lab (PNNL), and Nancy Wilkins-Diehr of the San Diego Supercomputing Center. Both David and Melissa bring key expertise and experiences to the advisory committee. David, as CIO of NRAO, has the perspective of an NSF Large Facilities and the cybersecurity challenges they face in supporting research. Melissa, as CIO at Stony Brook, brings a wealth of experience in higher education IT and the key role it has supporting research nationally. We thank both David and Melissa for joining the CTSC Advisory Board and look forward to working closely with them to support research and science cybersecurity challenges. We also take this opportunity to thank Don Middleton of NCAR for his service on the Advisory Committee and wish him well in retirement. CTSC has initiated an engagement with DesignSafe-CI (DesignSafe) (NSF-1520817, NSF-1612144, NSF-1612843), a component of the Natural Hazards Engineering Research Infrastructure (NHERI) and funded by the NSF under a Cooperative Agreement through the Division Of Civil, Mechanical, & Manufacturing Innovation (CMMI) (NSF-1520817). The scope of the engagement is to perform a cyber-checkup -- a high-level review of the project’s cybersecurity program. The process tailored to DesignSafe’s needs will constitute a fact-finding exercise that delves into DesignSafe’s security processes, policies and protocols. Due to the maturity of DesignSafe’s existing security program, CTSC anticipates the engagement will be completed by November 2017. 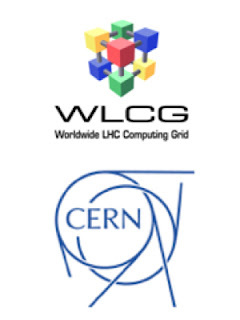 CERN's Romain Wartel is presenting the talk "Demystifying Threat Intelligence" on September 25th at 11am (Eastern). Threat intelligence has become a very popular keyword among security professionals in the recent years. What is this all about? Is this a service for sale or rather an intangible asset resulting from a trust relationship? Every organization is seeking relevant and target intelligence, ideally at little to no cost and yielding no false-positives. What are the myths and realities? Is threat intelligence a worthy investment? Is it more suitable to favor local or global sources? Are there services or tools that can facilitate threat intelligence management. Beyond obtaining information, an often overlooked aspect are the challenges linked with building the ability to take promptly and effectively action based on specific intelligence. Making good use of threat intelligence is what makes its value, but this requires time and efforts. Yet, a well-designed threat intelligence management and flow may in fact be the only realistic and affordable strategy for our community to mitigate sophisticated threats or well-funded attackers on a daily basis. The DKIST Data Center (NSF AST-0946422) is the operations data management and processing center for the Daniel K. Inouye Solar Telescope (DKIST), which at the time of its scheduled completion in 2019 will be the largest solar telescope in the world. The data center team has the challenge of managing the terabytes of data coming in daily from the summit in Haleakala, Maui, Hawaii to the data center facility in Boulder, Colorado. With assistance from CTSC, the DKIST Data Center team plans to develop a cybersecurity program that will help them focus appropriately on the Integrity, Availability and Confidentiality of the data and services in support of DKIST.